The lavish, full trailer for Crazy Rich Asians, the adaptation of Kevin Kwan’s novel of the same name, has finally been released. Like the protagonist, Rachel (played by Constance Wu from Fresh Off the Boat), we are given a glimpse of the visual treat of various luxurious locations all around Asia. As previously reported, here is the official synopsis of the Crazy Rich Asians. It’s clear that Rachel will have to contend with a whole new world she never even knew existed if she wants to keep the love of her life. Though the conflict is a classic one, fiancée meets disapproving family, the film looks gorgeous, with extravagant costumes and sets, and an all-star, diverse, Asian cast. 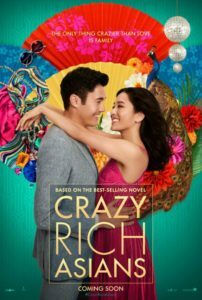 Crazy Rich Asians will premiere on August 17, 2018.